You told Aurélie that you’re going to Australia. And you got her to NYC. How did you keep it secret from her at the airport? Aurélie is a dreamy people and very easy to distract. So, when we were at the airport, I was constantly speaking with her. When I had to drop of the luggages, I made my her mother to call her, so that she could not see the destination. I always kept both boarding pass. Then we sat in a restaurant, had lunch with a nice bottle of wine, you know to make her a bit sleepy/dizzy. At the boarding gate, of course "New York" was displayed. So I had to make something up. I told her it was an error of display. She was listening music and reading books. So she did not pay attention much. Where did you propose to her? For the first 3 days, I rented an Airbnb in Brooklyn. So the first day, when we arrived we decided to cross the Brooklyn bridge to reach Manhattan. I did my proposal on the bridge! Since when have you been planning this? Planning the proposal (2 days). Planning the whole wedding (4 months). Do you have any tips for the men in case they want to plan a surprise wedding for their darling? I do not have particular tips. I just did I wanted to do in the aim to make Aurélie happy. Just be enthusiastic, do not do something that you don't. That is the secret. I would say, if they want to get married, don't do it! Or do it your way! After the proposal, what did Aurélie do? Where did she get her dress, make up from? She was excited to get a dress. So I gave her some money and she got 2 days to find the makeup artist and the dress. Quite a very short time, but she managed and you know doing shopping in NY made her feel like Carrie Bradshaw! After the wedding ceremony, where did you celebrate and how many people were invited? Did they fly for the reception or were these local people? How did you sort out your permit / license to get married in NYC? Any site that helped you? 2 years later, what’s the fondest memory you have from that day? The ceremony of course but also the moment we had to get out the taxi to meet the reverend and to celebrate the ceremony. I am kind of discreet/reserved person and I was a bit stressed to walk in the street dressed in a wedding suit with all eyes on us. But finally people did not care and I enjoyed every details of this day. ...and they now live happily every after! I hope you enjoyed this as much as I did. A big kudos to Aurélie for being totally sporty and excited about this and to go with the flow blindly, and this made it all the more magical. Not to mention, little did she know, that her 'trip to Australia' was going to be a life-changing moment of a lifetime! SO, if you are considering to pull off something similar, then as beautiful and amazing their story is, eloping and getting married requires careful planning. Make sure your appointed vendors know that this is a secret. They will be able to help you out and make sure the surprise isn't ruined. Assign a Point Person and get some help: Make sure you spend a good amount of time in planning out the details. If you’re having some trouble planning or brainstorming about it, get help from a wedding planner or coordinator. Make sure you have your story in place: If your partner starts to find something fishy, make sure you have a cover-up and remember what you told her, or you will get caught! The legals: This is the most important. For example: in Australia, legal requirements mean that only the guests can be surprised at the wedding. Both the bride and groom must sign a Notice of Intended Marriage form and have that lodged with a celebrant at least a month and a day before the wedding date. So make sure you get your homework done for this one and get your permits and legals sorted. 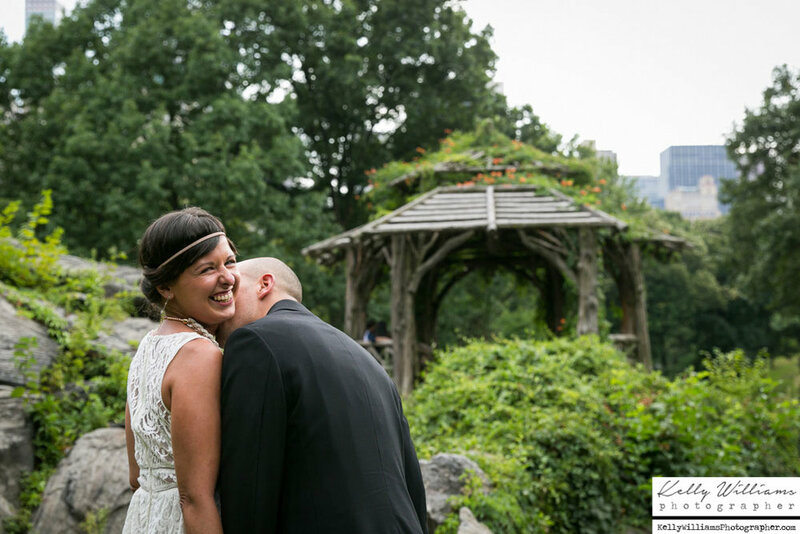 If you are planning on having a surprise wedding in New York, please visit the site http://elopenewyork.com/ and obtain all the information that you need in order to have a legit wedding. This site also provides you with guidelines on locations and ceremony size, on obtaining parks special events permits, and much more. To make it easier, I've pasted some important guidelines from their site, to give you a quick overview. I do strongly suggest that you visit the site and the links that I've provided below, to get thorough with all the information. Decide if either of you will change your name. Buy a $35 Money Order at a drugstore - cheaper than a bank. You can now pay for your license by credit card, and you may even apply online for your license, up to 20 days ahead. Go to one of the New York Marriage Bureau offices and apply for your marriage license. It is good for 60 days, and there is a waiting period of 24 hours before you can be legally married. If you have applied online, you must still go together and confirm your identities and certify the application. See cityclerknyc.com. 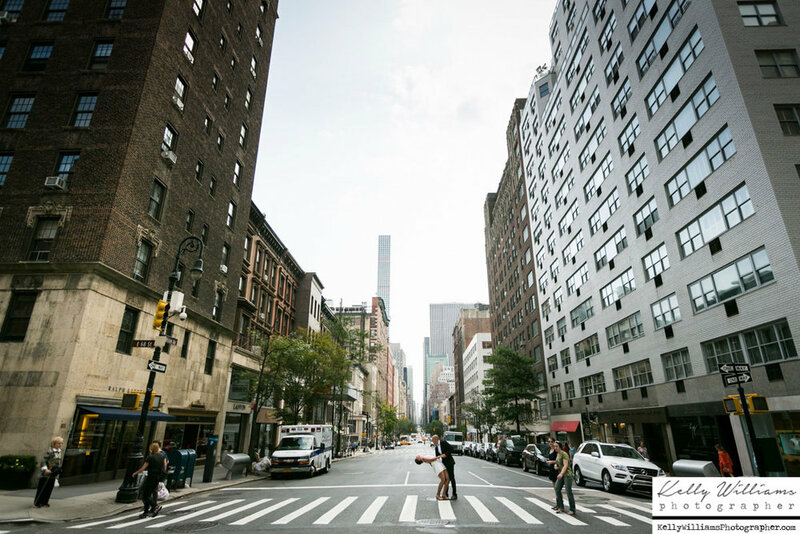 If you are not a US citizen, make sure your home country accepts the regular New York City license, or whether you will also need to apply for an apostille (special certified stamp on your license). Just phone your consulate and ask if you need an apostille, or extended license. A majority of countries, including the UK and Commonwealth countries, simply accept a New York marriage license, so do Canadians, and many Europeans. If you do need the apostille stamp, it is possible to return early the next business day to the Manhattan City Clerk's office after your marriage ceremony, get the license, and get the special stamp for a small charge. It's fairly painless, you can ask about the process when you apply for the license. This is ONLY possible if you have PICKED UP your license at the MANHATTAN OFFICE at 141 Worth Street, however. If you have been divorced or widowed, have documents and information regarding the previous marriage and spouse. You MUST disclose all previous marriages, including those in other countries. Choose your legal witness(es), 2 persons over age 18, or ask your Marriage Officiant to secure a witness. You need a witness for City Hall, too. Discuss your ceremony wishes with the officiant (if being married outside of City Hall). Sign the license. Witnesse(s) sign the license. Officiant signs license with official date and time. Surprise weddings, if pulled off well, can be an adventure of a lifetime, and I hope this post helps you with all the information you would need in order to get it all together. Wish you a fabulous wedding and happy planning!